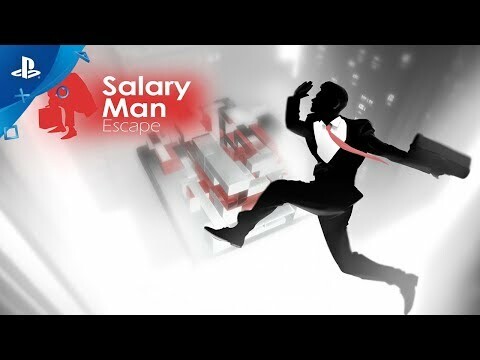 Salary Man Escape is a VR physics puzzle game where players must use their skills to help an unhappy Salaryman escape from his life. Life's not about the destination, it's about the journey. Tired of work? Feeling trapped at your position with no hope of promotion? Vent out your deepest frustrations with Salary Man Escape, a satirical and edgy VR physics puzzle game about helping a disgruntled Salaryman escape his miserable life, created by Red Accent Studios. Through clever physics interactions and manipulation of different bricks and platforms, players must reorganize an edifice of unstable bricks, in order to create a route for the salaryman to reach the exit. Physics-Dependent Puzzling: Solving puzzles in Salary Man Escape is all about leveraging physics properties, such as weight, balance and force; each individual playthrough will never behave exactly the same, and so players must expend their creative energies to discover the best solution forward. 6 Chapters, 78 Levels: The game features over 8 hours of gameplay, with 6 chapters, 60 basic levels, and 18 PS4™-exclusive hidden levels. Each chapter introduces a brand-new puzzle mechanic to the mix, making puzzle progression increasingly more complex and difficult. Unlock hidden levels and achievements: Unlock hidden levels (which feature special mechanics) by collecting the coins scattered throughout the previous levels, often in off-path locations. Complete all levels to earn special achievements and bragging rights. ©2012-2018 OASIS GAMES LIMITED. All rights reserved.